dedicated to my Mom, Lorraine: 1917-1987. I love you, Mom. None of my memories of growing up in Apartment 26 on 1632 E. Irving Pl. in Milwaukee is more vivid than my memory of the Murphy bed that almost magically appeared each night from behind the double doors in our living room. 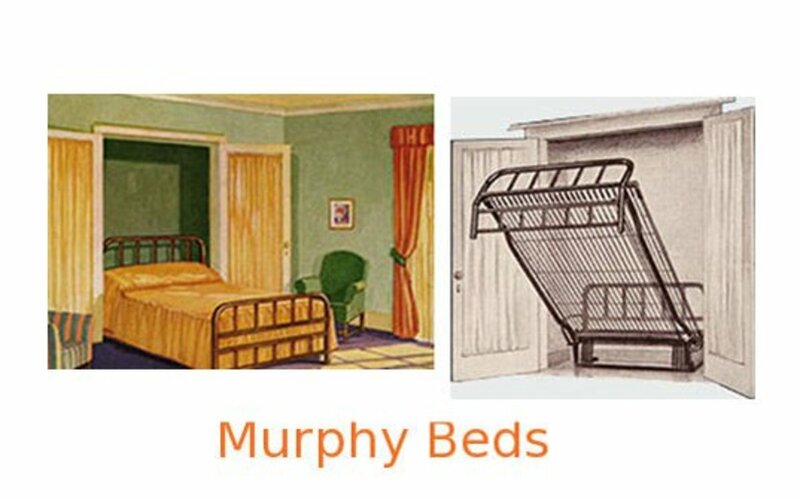 Actually, in my family, we never really called it “the Murphy bed,” although Murphy’s name was etched on a tiny metal plate affixed for all eternity onto the rounded metal that served as the "foot-board”. It was always, “the innerdoorbed,” and it was said as one word: “Time to go to bed, Billie, Let’s take down the innerdoor bed.” I would open the wide doors at the far end of the living room while my mother would reach up to grasp the cold brown metal and pull down the bed. As my mother stood holding Murphy’s marvel probably 3 ft. off the ground, I’d kick out the study hinged legs so Murphy could stand up properly. When my cousin Joan slept over on Friday nights it was, “Don’t you two jump on the innerdoorbed now...it’ll collapse...and remember, there are people downstairs." Nevertheless, a bed in the middle of a living room is irresistible to ten-year olds, and my cousin Joan and I were no exception. Every Friday night, we would watch the Gillette Cavalcade of Sports as it presented the light weight, middle weight, and heavy weight boxers of the week. (It must have been the only channel we could get on Friday nights.) After the animated parrot would sing the closing Gillette catchy razor commercial, “You’ll look sharp...da..da..dadeda..you’ll feel sharp...da dedadeda, the two of us would take a stand in our respective corners of the pulled-down bed, shout “ding” and come out boxing. We’d bob, we’d weave, we’d even throw a few punches, (especially Joan) all of which was too much for good old Murphy’s legs to take before they’d collapse inward causing the foot of the bed to come crashing to the floor. “Now look what happened,” my mother would admonish. Joan and I would look at each other in anticipation of her next utterance and silently mouth the next words as she spoke, “And there are people downstairs.” After helping poor Murphy back on his feet, all that would be left of Friday night were whispered giggles under the covers until we fell asleep. On weekday nights, my bedtime routine would never be found in any "Guide to Conservative Parenting". My mother would have me get ready for bed around 10:00! (My dad wouldn’t be home from the 2nd shift at Kearney and Trecker for another hour or two, and my mother was probably a bit lonely). Besides, there probably wasn't much for my Mom to do while there’s an innerdoor bed gobbling up seven-eighths of the living room. So my mom would bring a plate of saltine crackers and Thuringer salami to bed. She'd open a cold bottle of Schlitz and hop into the innerdoor bed with me. "Have a sip," my Mom would say as she handed the bottle over to me. "It'll take the edge off." (I'm not quite sure what edge a little girl in the 50s could have, but Schiltz probably took it off.) We’d lie there getting crumbs in the bed and sharing sips of Schlitz while we watched the Honeymooners on TV - even on school nights! That TV was our first tv, and we had gotten it when I was five. The turn table on which it stood was an even greater invention than Murphy’s bed. It was the magical kind with the top that rotated on its base like a square "lazy susan". It rotated to the right or to the left depending on which direction we wanted to view the images miraculously sent to the picture tube through dozens of dust-covered, yet still glowing vacuum tubes encased in the blond wooden box - the back of which "you must never ever touch or you'll get electrocuted." After mom and I would finish off the crackers and beer, WTMJ would play the "Star Spangled Banner" until the black and white "test pattern" dissolved into a static sea of visual and auditory haze. It was then that my mother would turn off the TV, sing sad songs and recite poetry to me. If there’s an after-life and Freud soul could float over to my mother's, he would have a field day analyzing a mother's motivation to introduce a child to “Put My Little Shoes Away.” Beyond pathos, the words, I recently found out, were to an old Arlo Guthrie song. God only knows what was in Arlo’s head for writing it or in my mother’s for introducing it to me, (it was a much more tenuous time for kids' survival), but to this day, the words haunt me. It’s lucky I could sense, even at an early age, that my mother’s motivation for singing this song to me was to teach some great lesson, and fifty years later after the attack at the World Trade Center that song came back into my head in a meaningful way in another essay posted on this website. .
As the one bottle of beer kicked in, my mother's emotions would deepen and it wouldn't be long before she started singing old war songs to me. 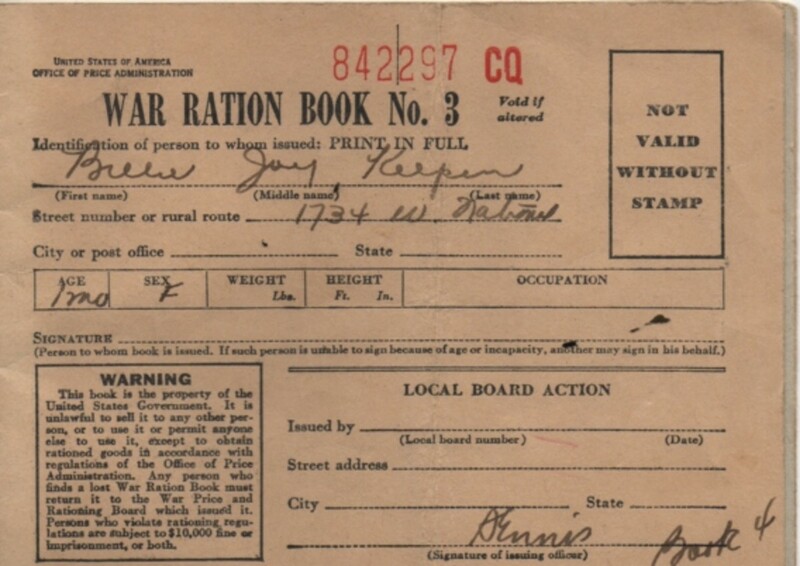 I was born in 1945, the year World War II ended and was 6 months old when my father came home for the service. Although my dad didn't serve "overseas," I could feel that he and my mother carried the cloud of that war in their souls. My mother would express her sorrow for the war in the songs she chose. 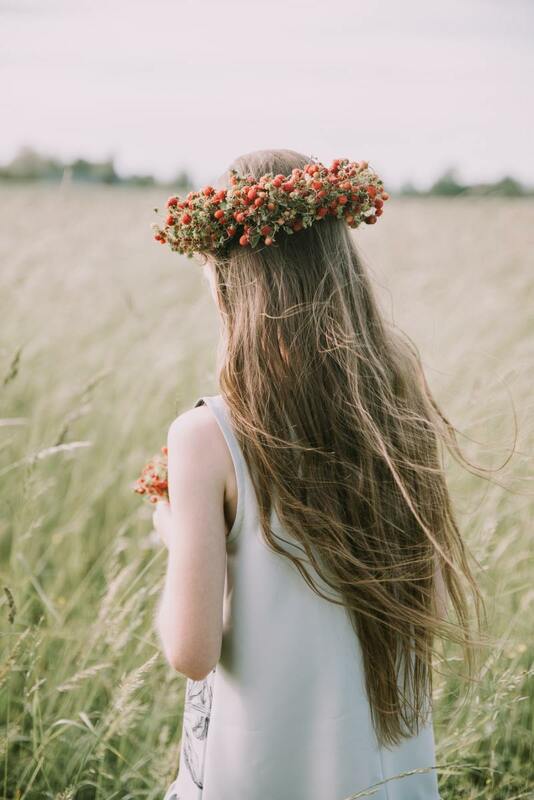 Even at a young age, I understood what the lines toThe Shrine of St. Cecilia meant: "The bells in the chapel, they don't ring anymore, the clock in the steeple can't tell time as before," and I could empathize with the little girl in "My Sister and I." But we don’t talk about that. She straightened up leaves that weren't just hanging right. Well, her poor long-suffering husband Gus starts to look around and finds a cute little hussy, a Chickadee named Ruth, and Gus flies away with her to a life where they're nesting "happy, untidy, unkempt, and uncouth." Although, I'm sure I didn't understand the meaning of love for a living, the other phrases beer in the bathtub and 3 kinds of gin were enough to make me blush. Paradoxically, instead of becoming some wild child, I became quite the... (What's the word? ), let's say "proper" young lady. It was during this last song that I’d drift off to sleep always waiting to hear the sound of my father’s key in the lock. I had programmed myself to awaken for that sound and for the jingling of the metal chain sliding through the second lock as my mother opened the door. He’d enter the apartment whispering, “Hi Cookie,” and add, “Brrr, it’s as cold as Billy Hell out there.”(I could never figure out what Billy Hell was, but I surmised it was the offered choice for sinners who didn’t want to spend an eternity in flames.) He and mom would then sit at the dining room table with yet another bottle of Schlitz and I’d hear him tell her about the day’s events in the stockroom with as much pride as I imagine Mr.Trecker might relate the events of his day in the boardroom to Mrs. Trecker. And my mother listened and in whispered tones not to wake me in the living room, would ask just the right questions to make my 50s emotionally illusive father express his greatest frustrations and too few triumphs. I learned that there are always "people downstairs" whose needs must be considered in relationship to our own. I came to understand that these are not only the people closest to us, but those standing behind us in the check out line at the grocery store, driving behind or in front of us on the freeway; they are strangers we never met across the globe. And no matter where they live or who they are, our behavior must always be modified in relationship to them. I learned that each of us has a need to create “a pair of little shoes” to pass on - something to leave that is useful and memorable and that the fact that we at least have some "little shoes" to leave is the only thing that makes our leaving bearable. I learned that it's the poets and songwriters who have power to teach us compassion and to fight for social justice and to understand that war is a concept we have to undo. I really didn't like apartment living. I didn't like not having a door that opened to the outside. I didn't like not being able to have a dog or a cat or a garden. I didn't like always having people downstairs and upstairs and all around me. But the one thing I do cherish about Apartment 26 on 1632 E. Irving is the time I spent with my mother late in the quiet of the night on the "innerdoor" bed. 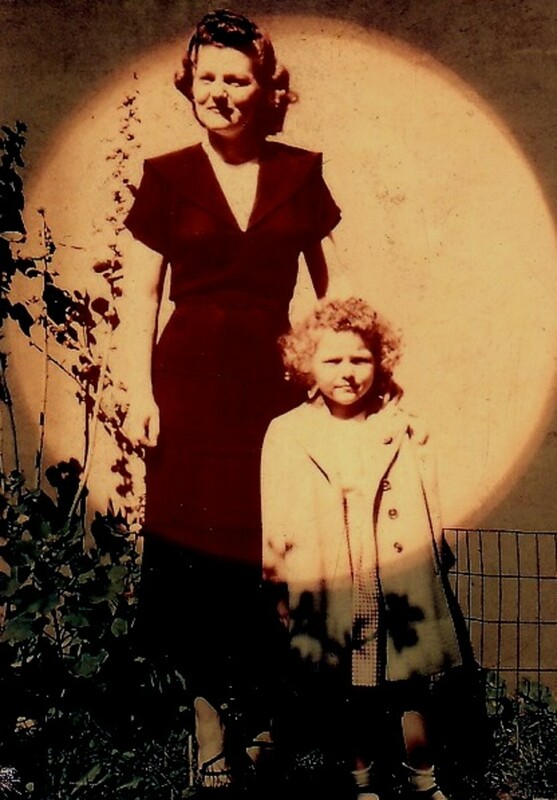 I cherish her unorthodox parenting that seemed wrapped up in sips of Schlitz and salami and crackers in bed, her free and independent thinking, and her philosophy of living found in each verse, and lines of lyrics from songs and poetry that moved her. I cherish how she passed all of that on to me during childhood late at night in a place I like to call "the little church of the innerdoor bed." Billie, what a great story. I loved reading it and seeing how your experiences have shaped you into the wonderful, caring person and friend that you are. You have a very special talent in writing. Not only a beautiful story centered around a childhood bed; it is also very well written. 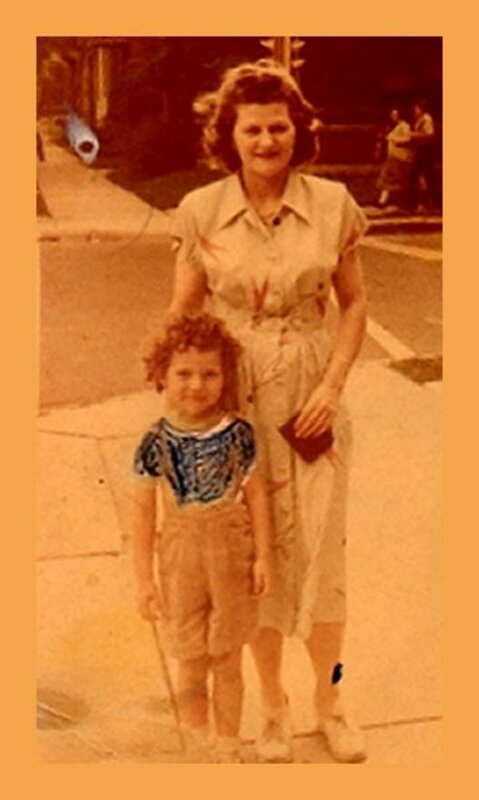 I enjoyed reading about your signature moments growing up with your sometimes-unorthodox but always-wise-and-loving mom. What a blessed childhood and this is an exceptional tribute! This is a must read, just wonderful and now is the time to get it read. I can't for one moment think whey there are so few comments on this page. I am definitely voting this one up, beautiful, interesting, awesome, funny, pinning, sharing and more. Thanks for a delicious read. Thank you, Peg. I'm so glad it brought back those memories for you. 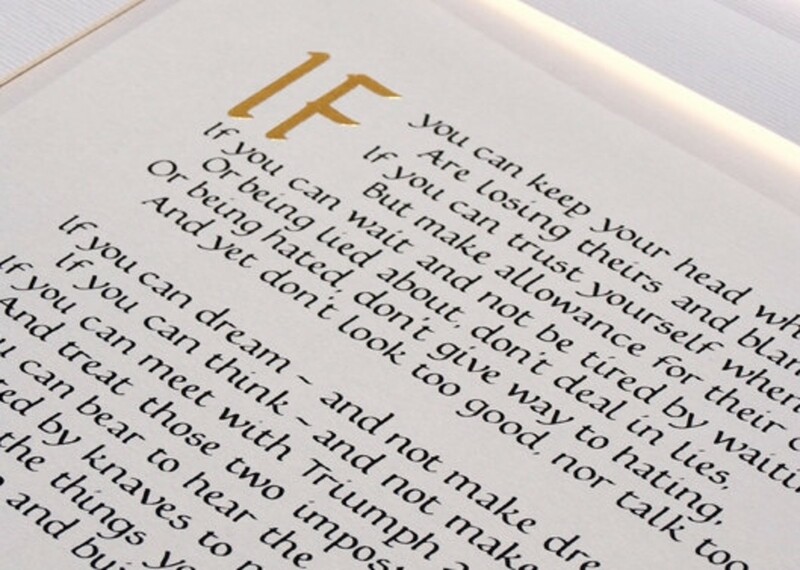 My mom's presence is still with me in the memory of the "innerdoor bed" and everyday I realize that she actually shaped most of my beliefs from what she read and recited to me there and I'm truly grateful. Such a beautiful nostalgic piece. I remember the old test tube TVs and the Honeymooners. We had a fold out couch that was a bit like the Murphy bed you described. You had to push, then pull it just a certain way for it to click, click then open. You've brought back such a rich flow of memories here. Writer Fox, Thank you! There's an Arabic quote that Taleb80 posted on his hub, ""The people we love don't die when they are buried, but when we forget them." ~ Abdul Wahab Motawa' I hope this is a way to keep my mother's memory alive a bit. What a loving tribute. Your mother would be very proud of this. SweetiePie, thanks so much for your comment. I never thought of living close to others in that positive sense, but it really informed who I became as I think about it. These are the kind of stories I enjoy reading, and illustrate what others can learn when they live close to others. Dear WillStar, There's a reason to add an extra special thank you to you for posting your comment. I wrote this a while back and yesterday, thought I should post it on hubpages because it was appropriate for mother's day. I wouldn't have gone back to check it, but I saw an email saying I had a comment. When I went to comment to your comment, I read this little piece again, and realized that I had copied a draft instead of the corrected version. There were a gazillion mistakes that I hopefully now have corrected. I think I'll try to find some youtube renditions of those songs I mentioned as well. So thank you, thank you, thank you. You have saved me from more embarrassment than I have already for the many errors! All good wishes to you, and I'm glad to have a mutual "sharer" of similar experiences for they were quite special, weren't they? What a superb story! I know how good it is because I grew up in the same era and experiencing many of the same things. Voted up and across the board! Well done!